The simple definition of deflation is an environment of declining prices for goods and services. In this regard, deflation is the opposite of inflation, where the cost of goods and services are rising. Understanding the economics of deflation can make you a better investor. You may have already heard or seen the economic term, deflation. But what does it mean and how does it relate to investing? Are there certain investment types that do best during deflation? How does deflationary periods compare to inflationary periods? Here are the basics on deflation what investors need to know when prices are falling. Deflation is an economic term that describes an environment of declining prices for goods and services within an economy. Not to be confused with disinflation (a decrease in the rate of inflation), deflation can also be called negative inflation because it occurs when inflation is less than 0%. Deflation can occur in recessions, where the demand for most goods and services declines and the providers of these goods and services lower prices to compete for fewer consumer dollars. In extreme cases, consumers delay purchases in anticipation of further price declines. This can often lead to a self-fulfilling prophecy of lower prices. A recent example of deflation occurred during "The Great Recession" of 2007-2008, where the inflation rate fell below 0%, which means that the cost of goods and services were declining. On the surface, this may sound like a good thing for consumers but lower prices are a reflection of lower demand, which arises from lower purchasing power (consumers are buying less because they either feel less wealthy or they lost their jobs). An extreme example of deflation occurred during The Great Depression. During deflation, asset prices are falling so you'll generally want to avoid assets such as cash, gold, real estate and stocks. This is the opposite of inflation where these assets can be good bets. Good investments during deflation may include bond funds, especially long-term bonds because interest rates are falling (and bond prices may therefore be increasing). Certain sector funds that invest in defensive areas, such as health care and utilities--things people need regardless of economic conditions--can also be good investments during deflation. For example, people still need to go to the doctor and pay their electric bill when the economy and stock market are on the down side. This generally prevents stocks in these sectors from declining as much as the broader market. Deflationary environments can still be challenging for investors, to say the least. Stock prices are generally falling along with corporate profits and an economy with an active Federal Reserve is not likely to allow or enable a deflationary spiral to last for an extended period of time. 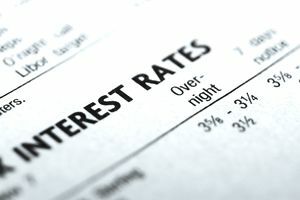 Therefore certain investments that do well when the Fed is lowering interest rates can do well. The best investment types during deflation include long-term bond funds, zero-coupon bond funds and sometimes dividend stock funds. Investment types that may not work in deflationary periods, with some extreme exceptions, include precious metals funds and money market funds. There is a risky market timing element to choosing the best investments during what is expected to be a short-term deflationary environment. Trying to navigate market and economic conditions with investment strategies is a form of market timing that carries significant risk of losing value in an investment account. For most investors, building a diversified portfolio of mutual funds is the best strategy for all market and economic environments. See Also: Inflation, Hyperinflation, Stagflation, and Reflation.